Mission style decorating and colors are an excellent way to capture the calm and beauty of this popular interior design style. While many homeowners are familiar with Mission furniture, they may be unsure of how to further incorporate this style into a room. Luckily, there are a few distinct elements common to Mission style decorating. Mission style is a general term that can have many interpretations. In the American Southwest, it often refers to a revival of Spanish Mission style architecture. However, for most other areas of the country, Mission style refers to the angular forms and warm muted colors of the Arts and Crafts movement as interpreted by Frank Lloyd Wright's Prairie style. Color is one of the easiest ways to impact the style of a room and set the tone, which makes color one of the most important parts of Mission Style and Arts and Crafts Decorating. The Arts and Crafts movement emphasized using a lot of materials that come from local, natural sources, such as wood and stone. Color inspiration was often also drawn from nearby natural colors, although Wright later added some bolder colors as well. As well as this natural, earthy palette, you can also include some accent colors, such as those Wright popularized, such as: turquoise, bright yellow, and bold red. The key to using the bolder accent colors is to use them more sparingly; a red accent tile on the fireplace amidst a dark gray field for example. Remember that lots of natural tones are equally important, which means often leaving woodwork in a natural finish, or a warm stain, rather than painting it. 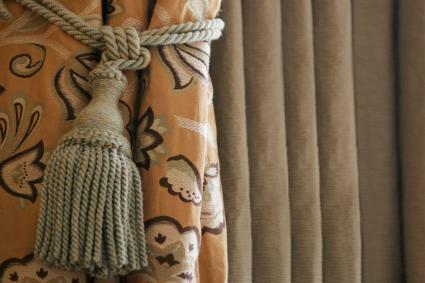 Furniture is also often left in natural tones as well. 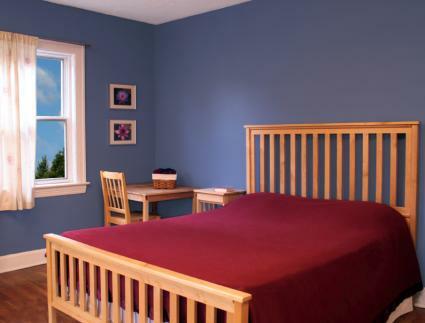 This bedroom makes great use of some of the principles of mission style color: natural wood furniture set off against a bold, sky blue wall and dusky rose bedspread. 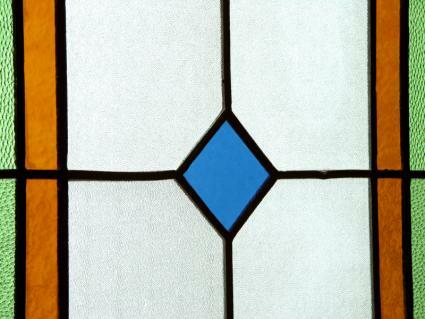 Frank Lloyd Wright had an appreciation for stained glass. If you are purchasing stained glass to complement your Mission style decoration and color choices, choose angular pieces that are more abstract. Many stained glass pieces that would work well with a Mission style decor also make use of warm colors. Do not limit your decorating choices to stained glass windows; lamps, hangings, and small pieces of furniture can add stained glass to a room without exorbitant cost. Many Mission style homes also use stained glass trams between rooms or set into cabinets to add a small pop of color to a room. 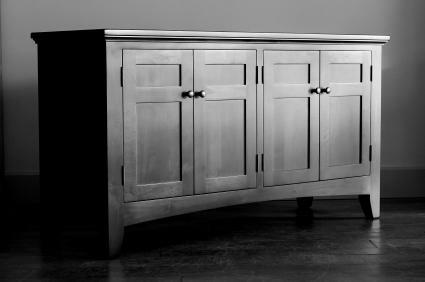 Mission style furniture is easily recognized by its clean, simple lines. Curved or overly ornate styles are the antithesis of Mission furniture, although some stained glass or light carving may be incorporated into the design. Most pieces are made of dark wood, although lighter woods can be chosen if necessary. Include many stand-alone or larger, heavier pieces, such as this buffet to help anchor the room. A lot of Mission style furnishings are also built into the walls, such as benches, bookcases and cabinets with glass or stained glass panels. Function helps drive the Mission style; storage, shelving and seating are three of the most important components of the design. Some Shaker style furniture also fits into Mission style decorating. The same clean lines, bare wood and lack of carving are present in both furniture styles, allowing you to mix and match and further your style. Brick House Fabrics sells several different Craftsman Style prints that fit in perfectly with Mission style decorating. 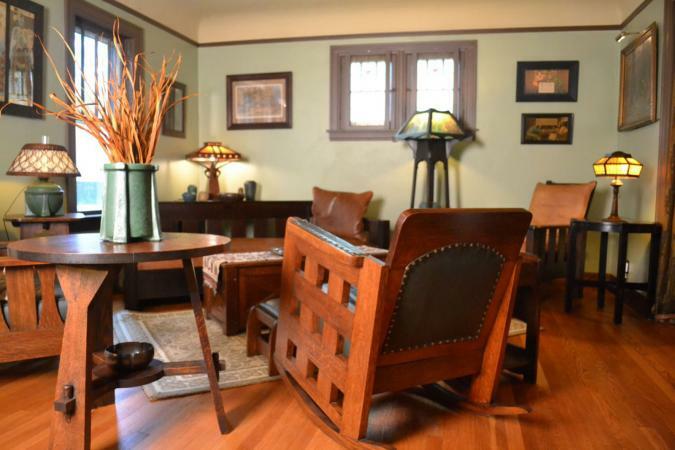 Wherever possible, let the original woodwork in the home show up. 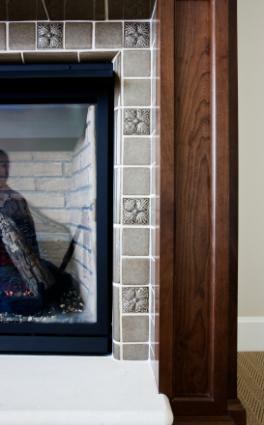 This may include wall paneling, newel posts or fireplace surrounds. This surround shows the clean, dark lines characteristic of Mission style, framing heavy, Arts and Crafts tiles from Motawi. Because the fireplace is the heart of the room, making it a statement of Mission style helps bring the rest of the room into focus. In the kitchen, bathroom and any other area where cabinets may be built, keep the cabinet doors to the clean, flat panel or Shaker style whenever possible. Open up many of the cabinets by either removing the doors to expose the shelves, or use glass panels in some sections to turn the cabinets into a design element, as well as storage. One fairly easy way to recreate the look of built-in storage/multi-use furniture is to build in some storage benches or banquettes into your kitchen or living room. 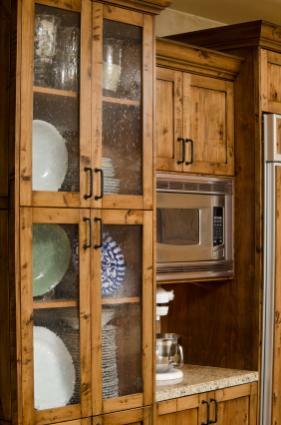 Banquettes are very easy to build out of short, upper kitchen cabinets. Top them with a hinged top beneath a cushion and have stationary panels on the fronts, or top them with a slab and keep the doors on the fronts; either way you get an excellent recreation of one of Frank Lloyd Wright's signature styles that fits in beautifully with any Mission style home. Due to its warm, inviting color palette and simple furniture, Mission style is often preferred for living room designs. However, an area such as a bedroom or kitchen can also benefit from being decorated with the basic principles of the Mission style. As with many other interior design styles, be careful to avoid recreating a period look, which can often make the room appear stodgy. Instead, try to follow the broad trends of the Mission style, while adapting the items you introduce into the space to fit your own aesthetic.